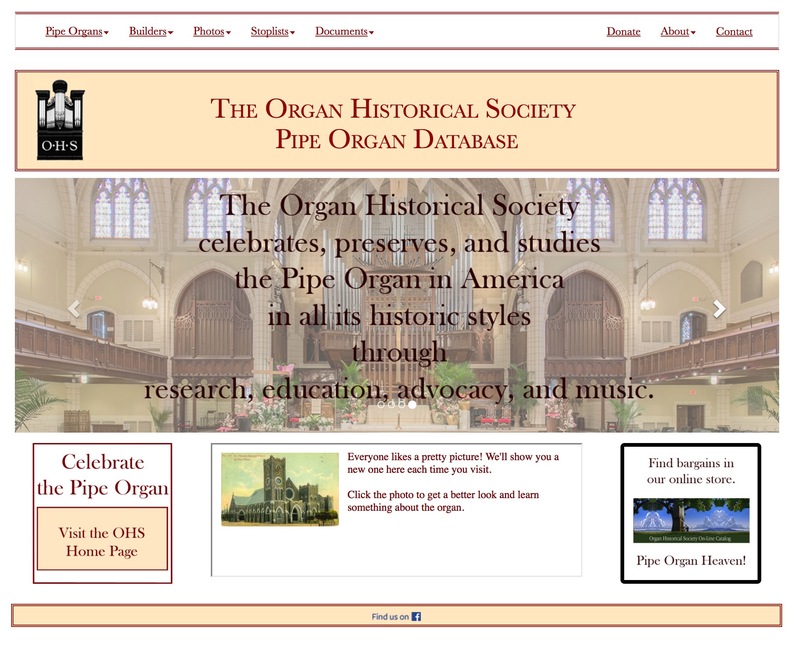 The OHS Pipe Organ Data­base has a new home. This site is the pub­licly acces­si­ble gate­way or inter­face for a rela­tion­al data­base that was estab­lished in 2004 as a dig­i­tal cat­a­log of all pipe organs either built or installed in North Amer­i­ca. Lim­it­ing the con­tent to pipe organs, to the exclu­sion of reed organs and elec­tron­ic instru­ments, whether ana­log or dig­i­tal, is inten­tion­al and the direct out­growth of the mis­sion of the Organ His­tor­i­cal Soci­ety. Please vis­it us today!